Evolutionary neurobiology and art. Perceptual portraits. The neuropsychology of visual art: conferring capacity. Vision, illusions and reality. Localisation in the visual brain. Neurology, painting and synaesthesia. Fainting in classical art. Migraine art in the internet: A study of 450 contemporary artists. Sarah Rapahel's migraine with aura as inspiration for her foray into abstract art. The art of contemporary artists with epilepsy. Creativity in painting and sytle in brain damaged artists. Artistic changes in Alzheimer's disease. Painting after stroke. The self portraits of Lovis Corinth. Art, constructural apraxia and the brain. Neurogenetics in art. Teh naive painter of St. Ives. Van Gogh's madness. Absinthe, the nervous system and painting. Sir Charles Bell. Jean-Martin Charcot. Peg Leg Frieda. Goya's deafness. The book presents a basis for the interaction of the brain and nervous system with painting, music and literature, and a discussion of art from multiple facets – such as anatomy, migraine, illusion and evolutionary biology. 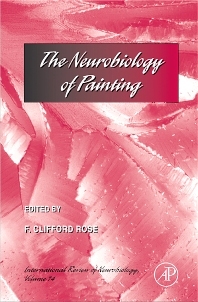 The book explores several aspects of the neurobiology of painting, including evolutionary neurobiology, sensation vs. perception, the visual brain and how the mind works, and also explores the affects of brain disorders and trauma on artist, with a concluding chapter on Frida Kahlo and the spinal cord injury that influenced her painting. Louisiana State University Medical Center, School of Medicine, Baton Rouge, U.S.A.